Boiler repairs can be costly depending on the problem. If some parts have to be replaced, you need to pay for the labour plus the cost of the parts that need replacement. This might seem like a huge amount, but imagine if the boiler is beyond repair. You have no other choice but to buy a new one. Considering the rising cost of modern boilers, it will certainly punch a hole in your pocket. One of the best ways to avoid having to spend a lot is to ask an expert to do regular maintenance on your boiler. It is better to prevent the problem before it gets worse than to fix it when it is already too late. With regular maintenance, issues can be checked ahead of time. You will be informed if something seems wrong or has to be replaced. You will also be warned just in case things could get worse any time in the near future. You need to make an appointment for the repair of your boiler. You can’t just ask them to come over right away. It is possible though, especially for an emergency boiler repair. At this stage, you have no choice but to pay the cost. You also have to ask the plumber to come over and fix the problem as it poses greater risks when not treated immediately. There are boiler repair services available 24/7. However, for late night or early morning repairs, you might have to pay more. Again, the key is regular maintenance. You won’t reach a stage where emergency plumbing is required if the boiler has been well-maintained over time. Deciding to invest in a new boiler might seem a crazy idea considering its cost. However, you should also check the number of years the current boiler has been used. If it has been a while now, the most practical choice might be to just have it replaced. Doing repairs might salvage the boiler for now but the problem could keep coming back. Calculate the cost for the repair. 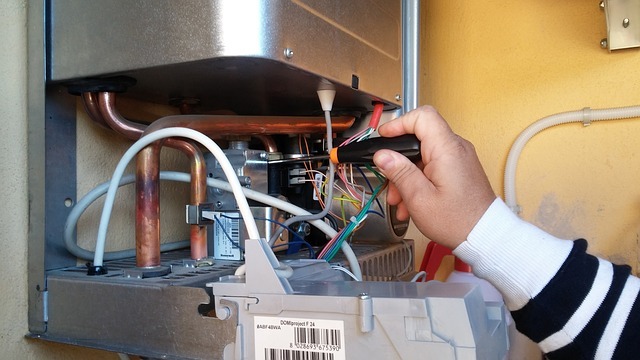 If regular repairs will cost you more than buying a new boiler, just go for the latter. No one wants to encounter issues related to boilers since the cost could be very high. Whether you choose repair or replacement, you need to spend a lot of money. Just in case something goes wrong, it is good that you have someone to easily contact to come over and do the repair. You deserve a high-quality plumbing service and you should find one now. Ask for referrals or read online reviews to determine the best possible choice in your area.